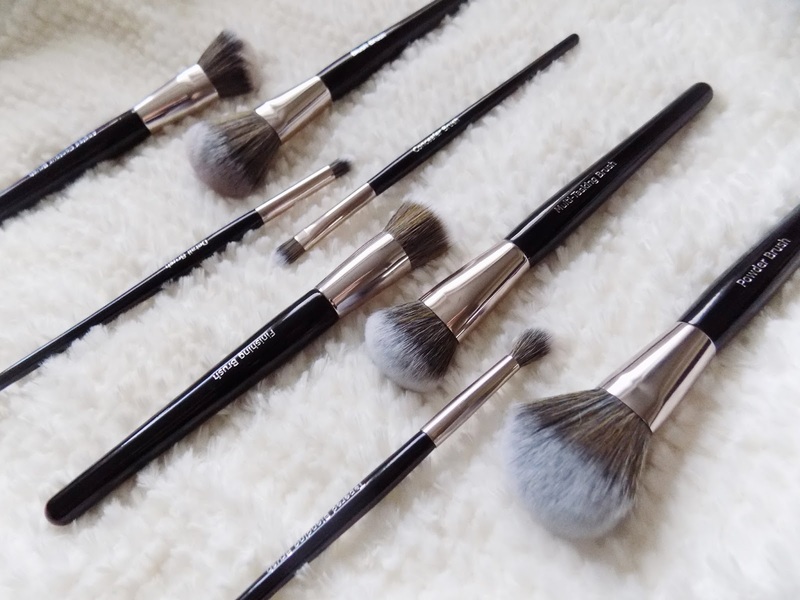 I've never seen these brushes before but there is such a fantastic cause behind them and the quality really is incredible for the price, so I thought I would introduce you to them and tell you my thoughts and review. 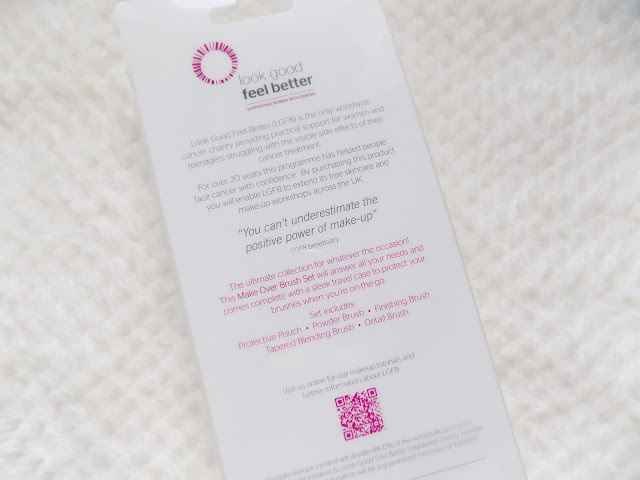 The LGFB Brushes were created for Supporting Women with Cancer and the side effects of their treatment. 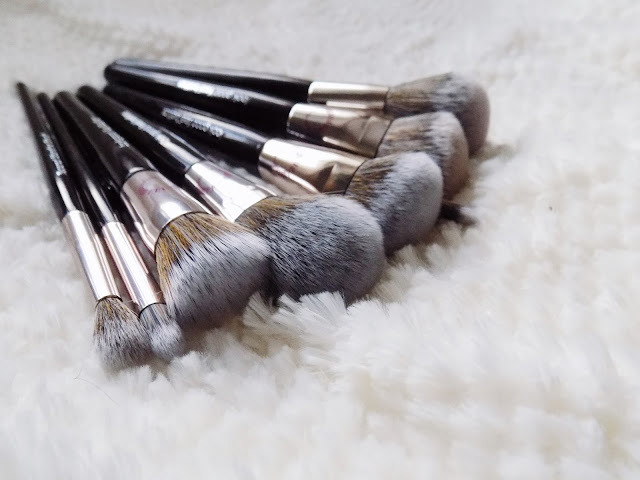 If you go onto their site Look Good Feel Better you will find makeup tutorials using these brushes and all sorts of awesome things to show women that they can look beautiful. They also have workshops which are around 2 hours long, free of charge, and they teach women and teenagers tips and tricks all about makeup and skincare, to help boost their confidence whilst undergoing treatments. 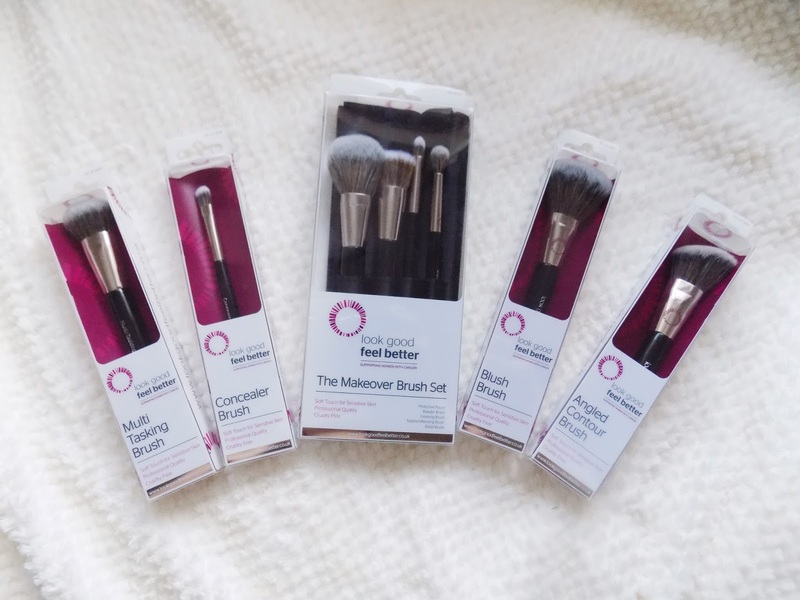 I first picked up the Angled Contour Brush £11.99 and the Blush Brush £11.99 as these were the only ones that stood out to me in the Boots store as they didn't have the entire range. But after I got home and tried these out I went straight on to Boots.com and picked up the rest for next day delivery, obsessive I know. But these two brushes are so soft, such great quality and they look professional, high quality and like they cost more than what they do. They blend products well, pick up the perfect amount of product and I just cannot rave about these bad boys enough. So I also picked up the Concealer Brush £7.99, a flat brush which looks like a flat shader brush too, but this is the perfect density to really pack on concealer or eyeshadow perfectly and blend the product out as you go. I was super excited to see they have a Multi-Tasking Brush £11.99. 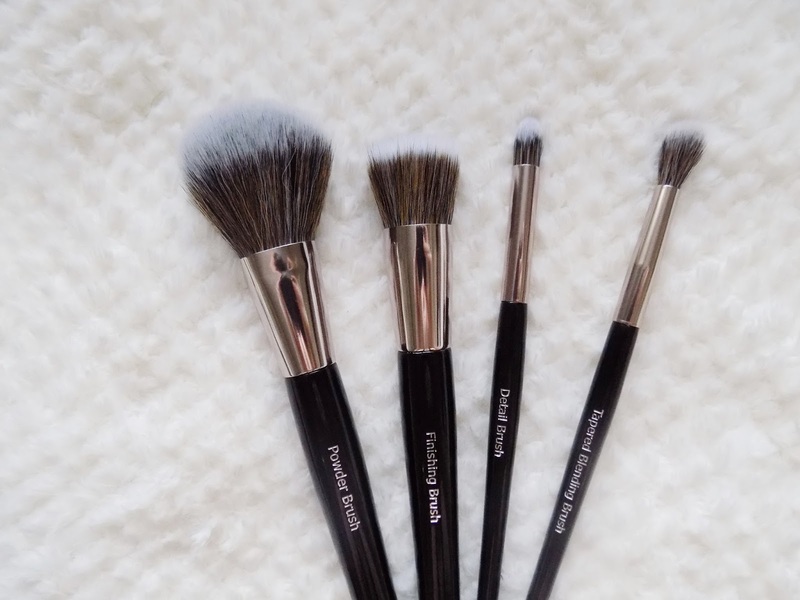 This is pretty much identical to the Real Techniques Expert Face Brush and this is perfect for foundation or concealer as well as bronzer, contour and all that jazz. It's the perfect shape and gives you a flawless finish. Finally I picked up the Makeup Brush Set £24.99, which has a Powder Brush £12.99 which is the perfect size for any powder products and also for other uses like buffing in foundation. That's what makes these brushes so great, they're multi purpose so this one set could give you a full makeup look. There was also the Finishing Brush (not sold separately from what I can find) which is basically a stippling brush which means it can also be used for foundation, concealer and any other cream products too. Always a good brush to have. Then there is the Detail Brush (again not sold separately) which is great for eyeshadow, blending out the lower lash line and crease as well as can be used for concealer or inner corner highlight. Then the other shadow brush in the set is the Tapered Blending Brush (I wish this was sold separately) which is the perfect blending brush for eyeshadow, but I have also used it for highlighter on the cheekbones which applies it precisely and the perfect amount and I am actually thinking about buying this set again just to get another one of these brushes. 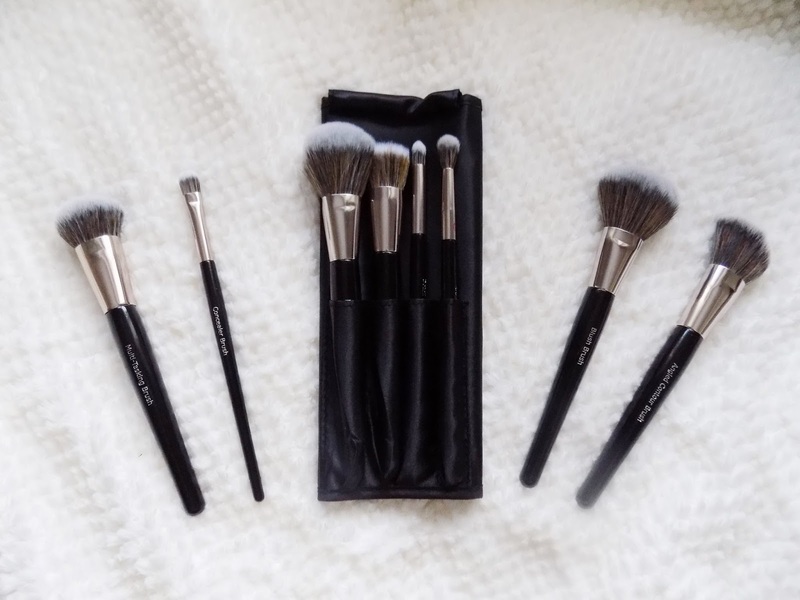 This set also comes with a brush roll which is great for travel. These brushes are all I need for a makeup look which is great for travel and for a beginner who doesn't know much about brushes yet. These are perfect and go to helping a great cause. Quality: 10 out of 10 - So soft, felt like a feather from an angels wing was being swept on my face. The quality of these brushes are just incredible, softest brushes I've ever felt. 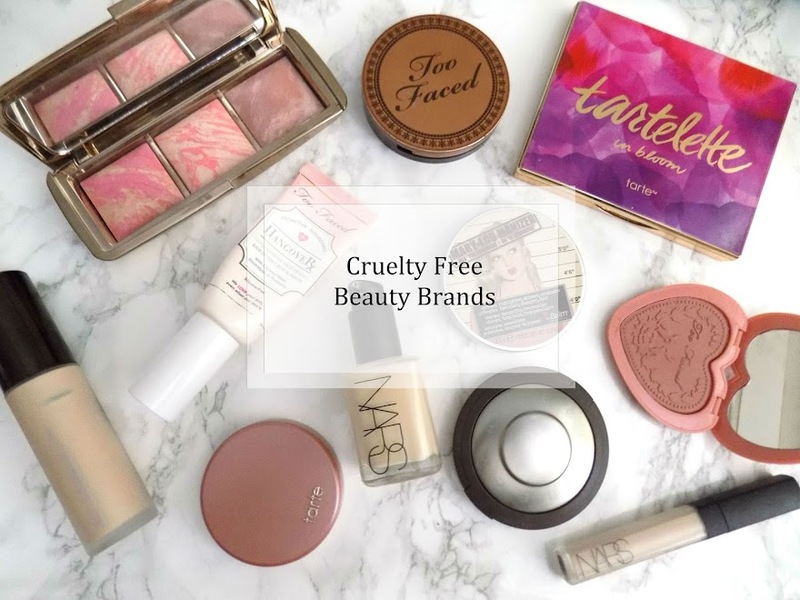 They're allergy-free, cruelty-free and suitable for sensitive skin thanks to their super soft Taklon bristles. Packaging: 10 out of 10 - The handles, ferrell and brush hairs are all high quality, look like expensive brushes and I just love how they look. Black handles, a silver/chrome ferrell, professional look and feel to them. Can't fault them here either. 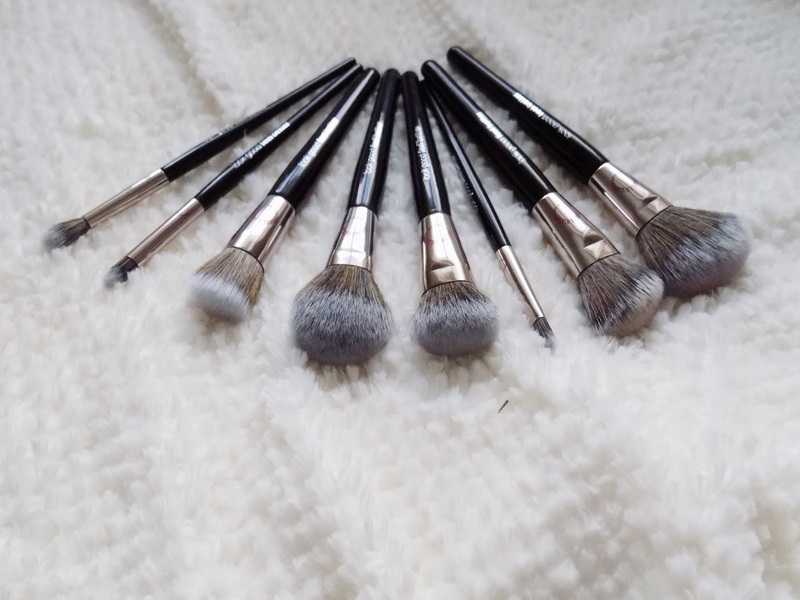 Price: 10 out of 10 - They are reasonably priced, even slightly cheaper than some of the Real Techniques Brushes which are all I can really compare them to as I don't have any other drugstore brushes but the price is great and I would even pay more for them, especially due to the cause. Availability: 10 out of 10 -I have only found them on Look Fantastic, Boots and Feel Unique (where they're actually on sale for about £2 less than Boots and LF). So if you see them anywhere else then please leave it in the comments. Overall: 10 out of 10 - No doubt about it, they're incredible and I highly recommend checking these out. You won't be disappointed. So what do you reckon? That's my review, I hope you liked it. 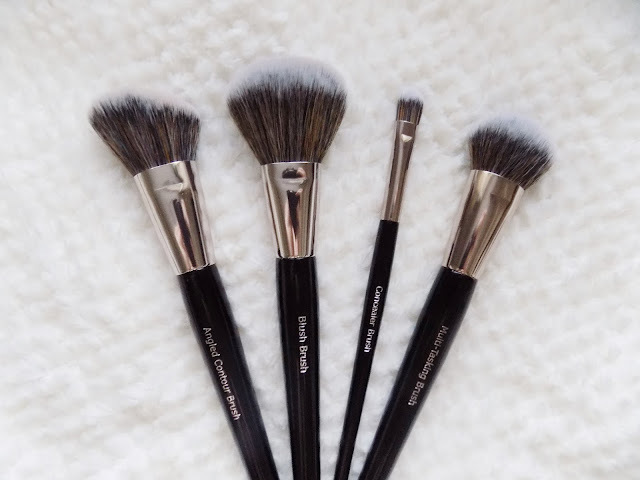 A lot of information on their I know but as I am pretty sure you know I am a massive fan of all of these brushes that I have and I highly recommend checking them out. 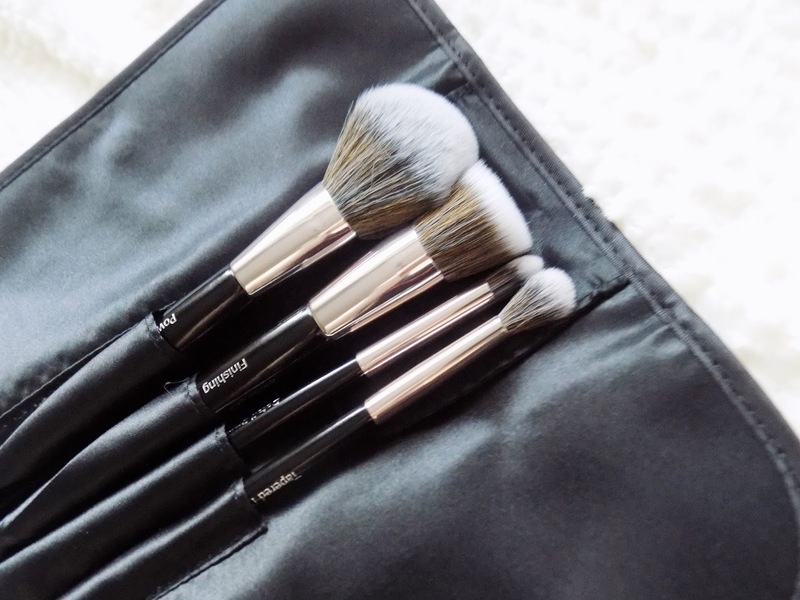 Will you be picking up any of these brushes?? ** Disclaimer: This is not a sponsored post, and there are no affiliate links. These are my own opinions and I haven't been told to say any of this, LGFB don't even know I am doing this post. these look good, and the cause makes it even better!